Spring has sprung, and we’re all ready to get out and raise some hell (only half kidding). 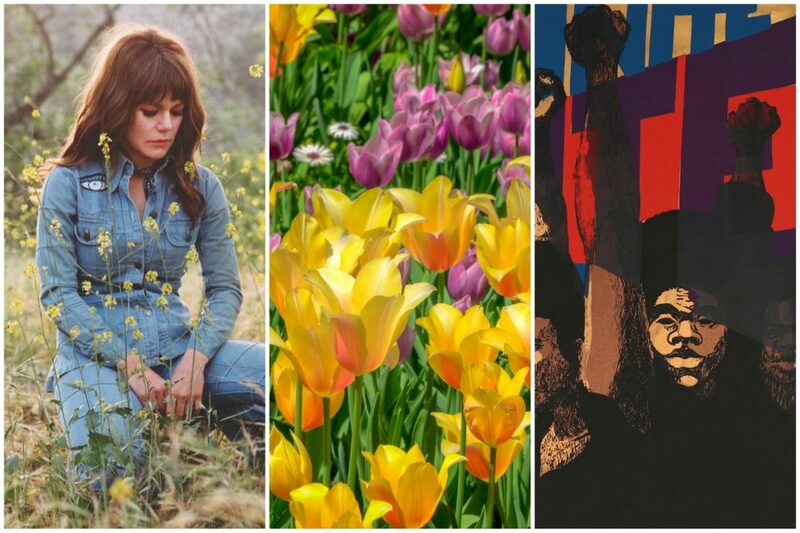 If you can resist the siren song of the superbloom and will be sticking around L.A., you’ll be rewarded with a slew of good stuff to do. Here are our picks for the best things to do in L.A. this weekend. On the day her new record On the Line hits racks, Valley-proud indie queen Jenny Lewis is playing a free in-store performance at Amoeba Music in Hollywood. Our own Chris Martins called it “a sure-footed, Americana-tinged set led by a narrator who sounds world-weary and wiser for it.” Buy a copy at Amoeba before the show and get a ticket for priority admission to the 4:20 p.m. show. Yoko Ono has enjoyed a long, diverse career—filled with art and activism, the occasional ear-shattering scream, and, hey, remember those pants she made for Opening Ceremony? Fluxus Fest pays homage to her greatness at Disney Hall, where you’ll no doubt do one (or all) of the verbs in the event’s title. It’s been well documented that rain caused a superbloom and a superbloom has caused misery to rain down on places like Lake Elsinore, where people have trampled flowers, caused traffic jams, and even hit (and ran) a city employee. How ’bout visiting a place that actually wants you to come look at the flowers? Descanso Gardens’ Spring Bloom Walks are a chance to check out their tulips, flowering trees, and other spring beauties. On Friday night, there’s also a Spring Bloom Wine Dinner if you’re in the mood to splurge. Venice Basketball League and Crep Project are christening a new “art-infused” basketball court adjacent to the Watts Towers. The free day of fun features a dunk contest, drop-ins from celebs like former Globetrotter Christon Staples, and giveaways. The Broad is the final stop for this showcase of “Art in the Age of Black Power 1963-1983,” which debuted at London’s Tate Modern. Each of the landmark paintings, sculptures, photos, and murals from artists like Noah Purifoy, Betye Saar, and others is a response to the Civil Rights, Black Power, or Black Feminism movements. No TSA pat-down required for this visit to the Santa Monica airport, where art galleries, improv workshops, live music, and gift stores are free and open to all ages. Spitfire Grill and a fleet of food trucks are on hand in case anybody gets hangry. Test the limits of your Office superfandom during this trivia night-slash-bar crawl (which leaves from L.A. Biergarten at 750 S. Broadway). Correctly answer 100 show-related questions between beers to earn some major bragging rights. It’s been 15 years since Iron & Wine’s Our Endless Numbered Days was released. That means you’re old and that it’s time to watch Sam Beam perform his quiet indie tunes with an orchestra in a large, fancy venue like Disney Hall. Stay up to date with everything you need to know about L.A. by following us on Facebook and Instagram.